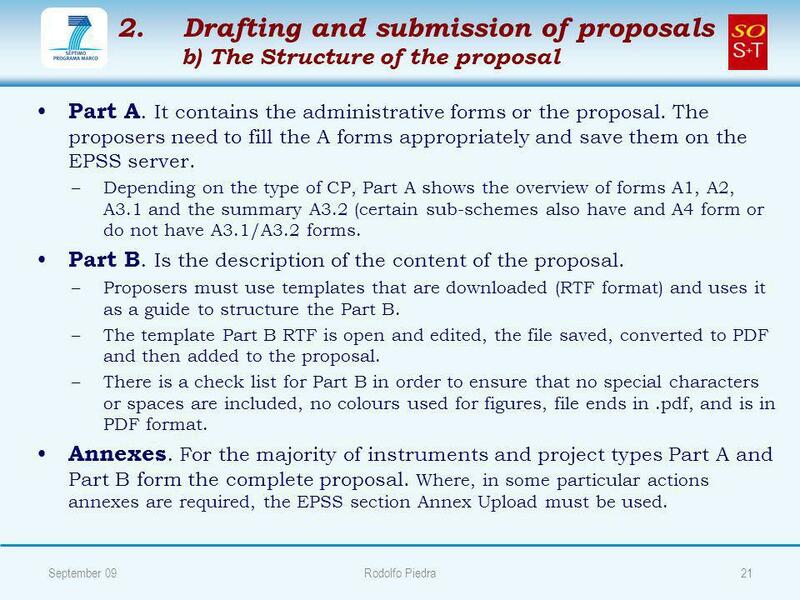 Registration, Application tools & Structure; the Proposal September 091Rodolfo Piedra. 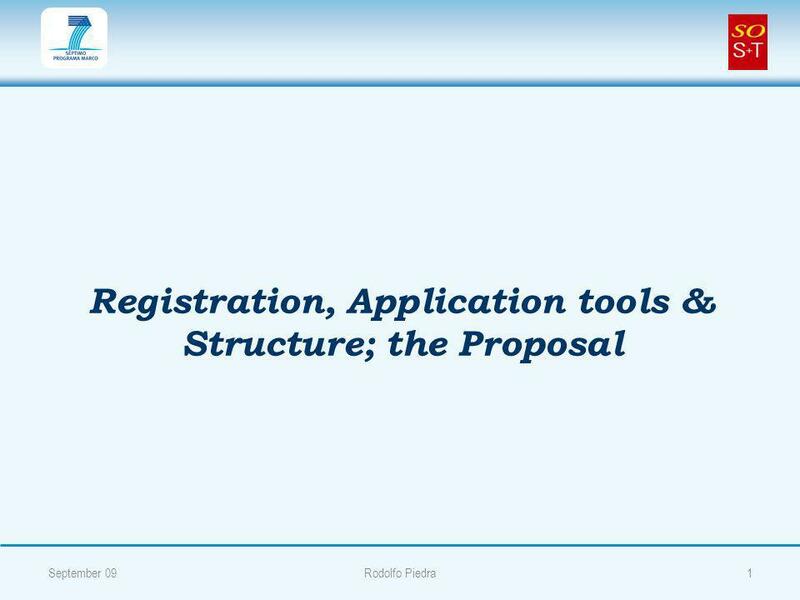 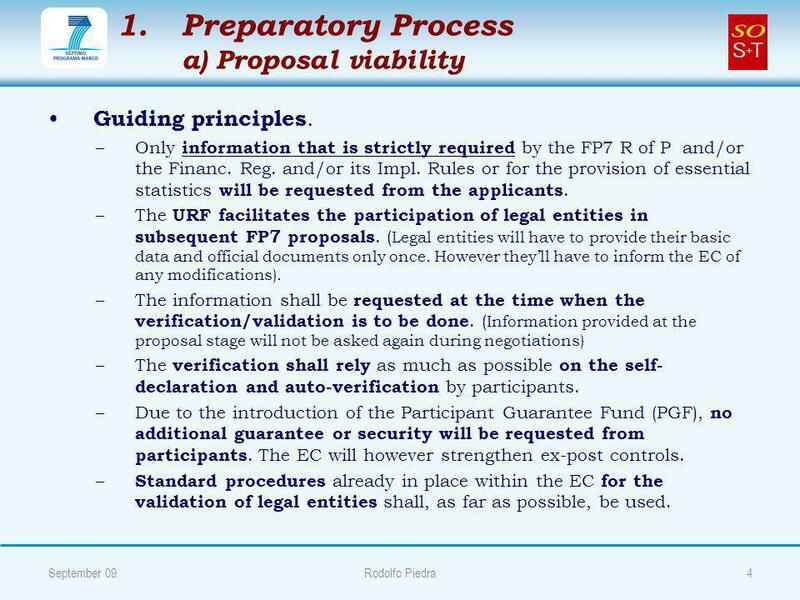 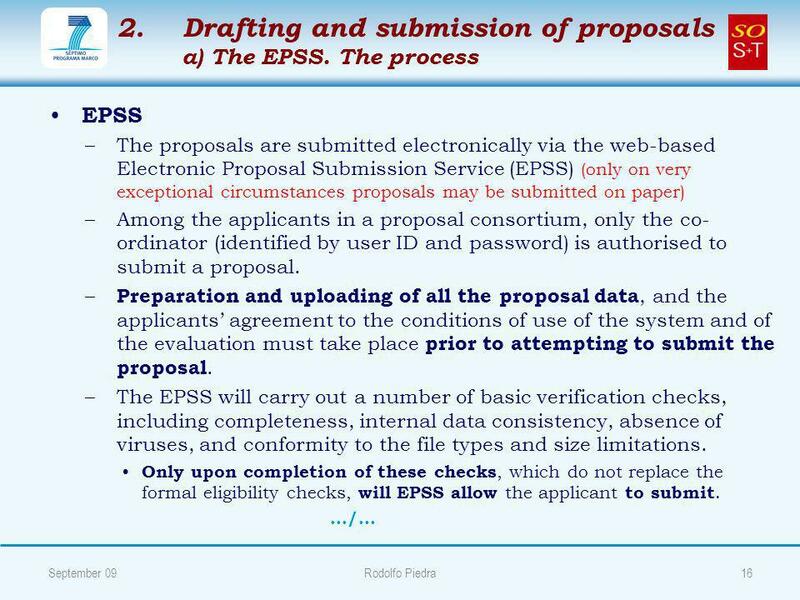 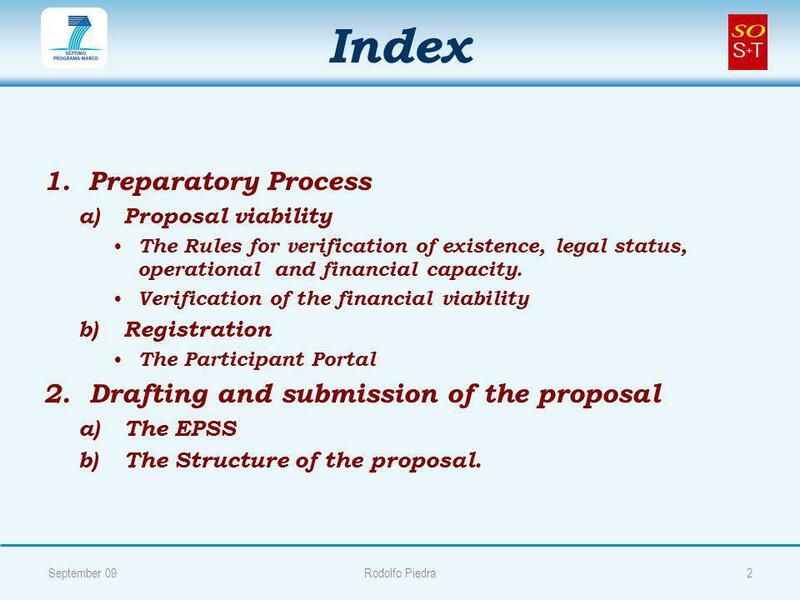 Download ppt "Registration, Application tools & Structure; the Proposal September 091Rodolfo Piedra." 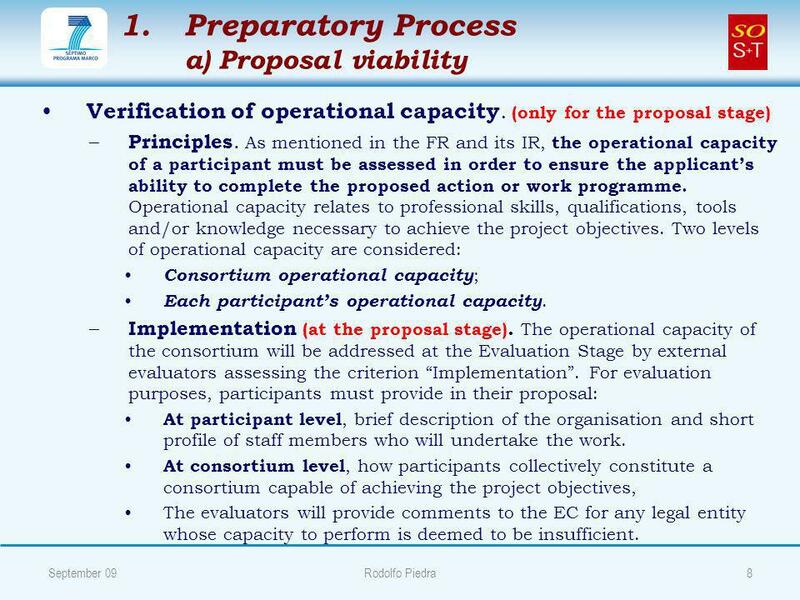 European Commission DG Research Co-operative Research Training Session on Ifigeneia Pottaki Research & SMEs DG Research - European Commission Training. 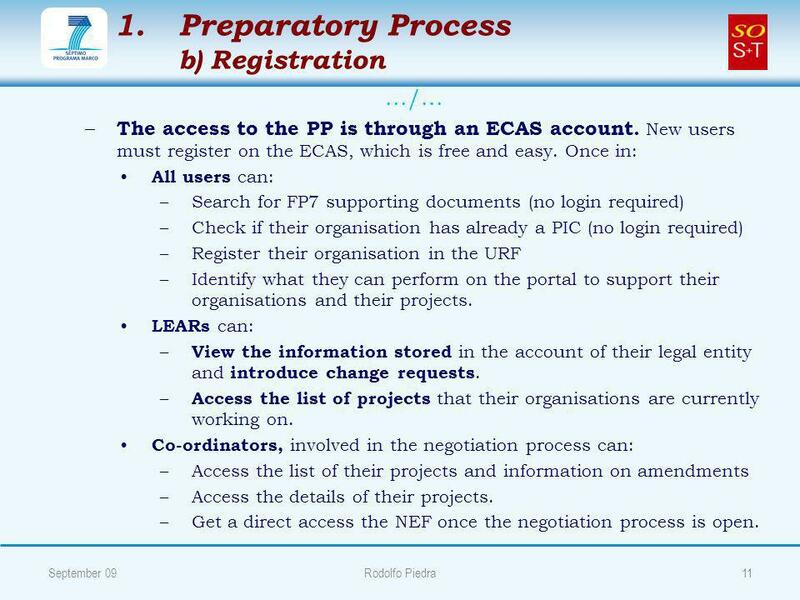 Identity and Access Management (IAM). 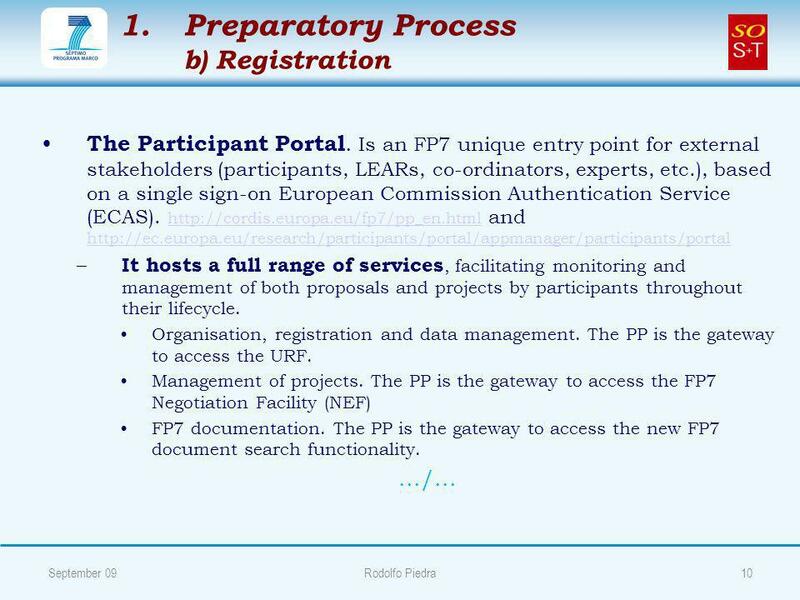 Research Participant Portal Offers external stakeholders a unique entry point for the interactions with the European. 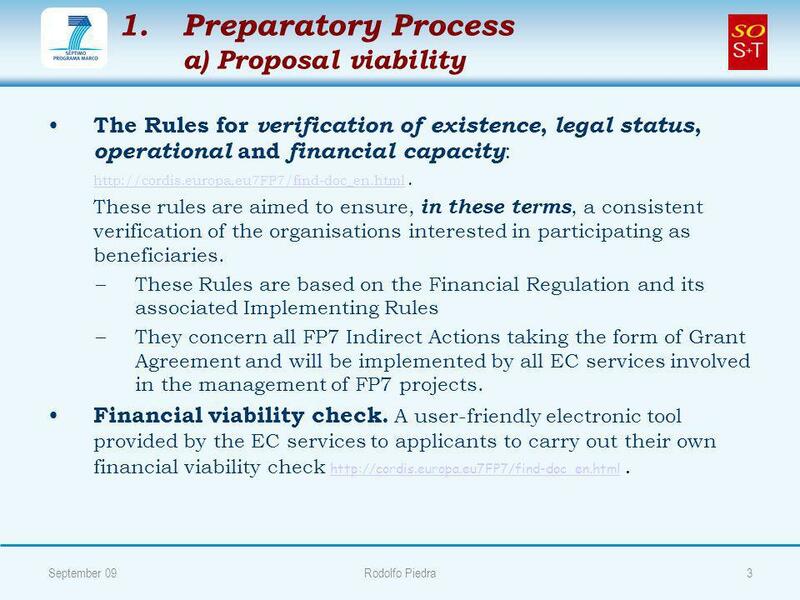 Management verifications Franck Sébert European Commission DG Employment, Social Affairs and Equal Opportunities. 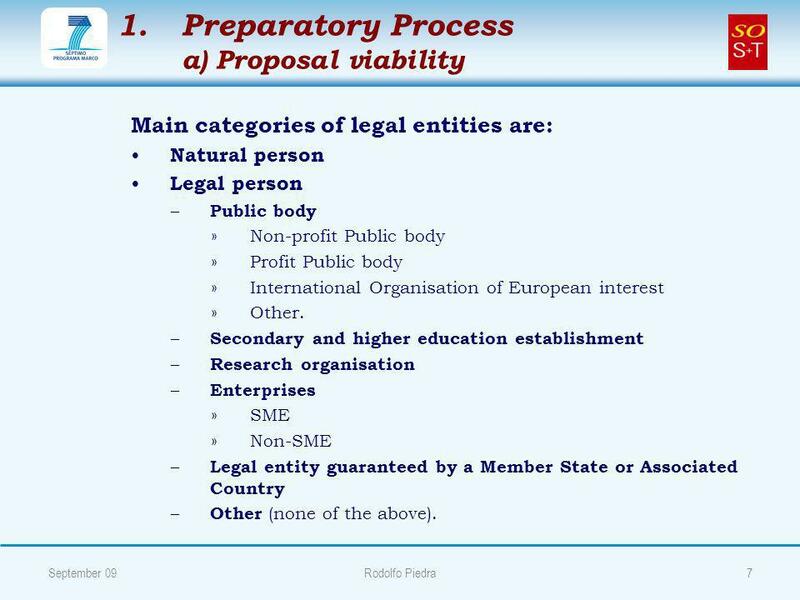 “Regions of Knowledge” and “Research Potential” Briefing Session « RESEARCH POTENTIAL » « CAPACITIES » SPECIFIC PROGRAMME European Commission Research. 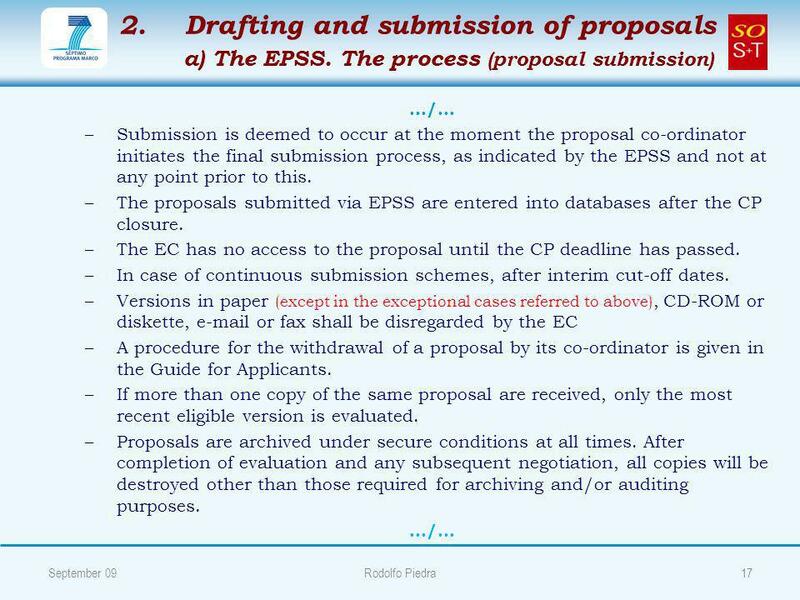 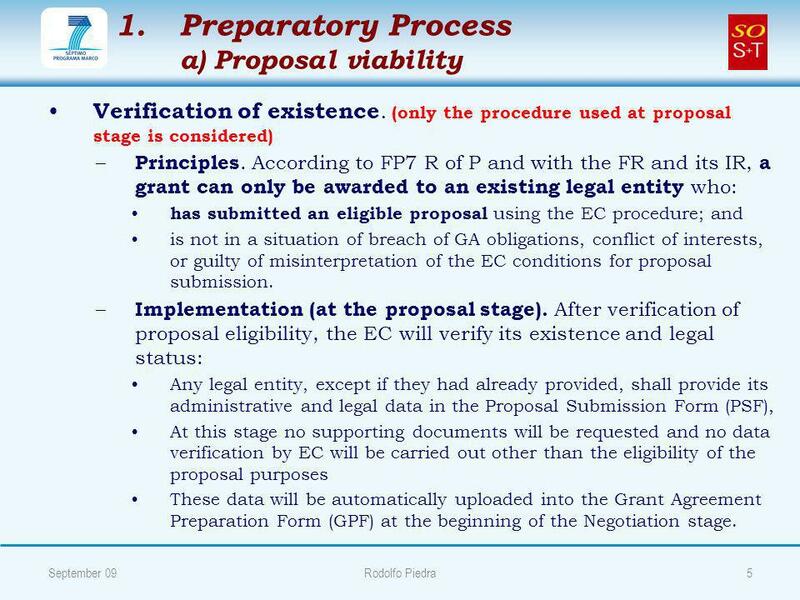 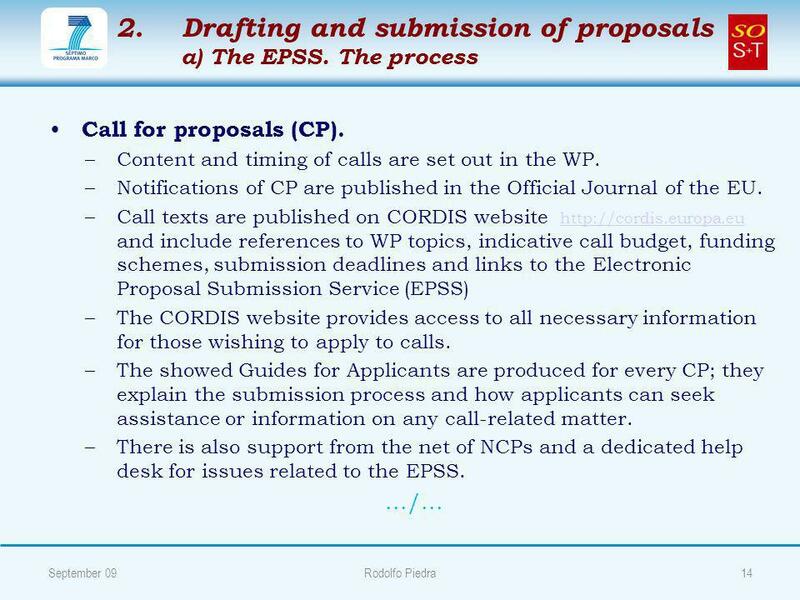 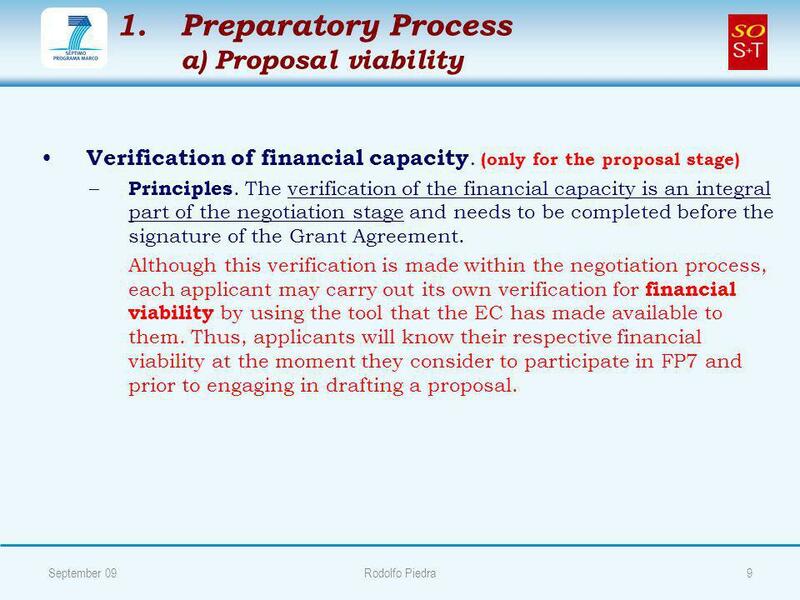 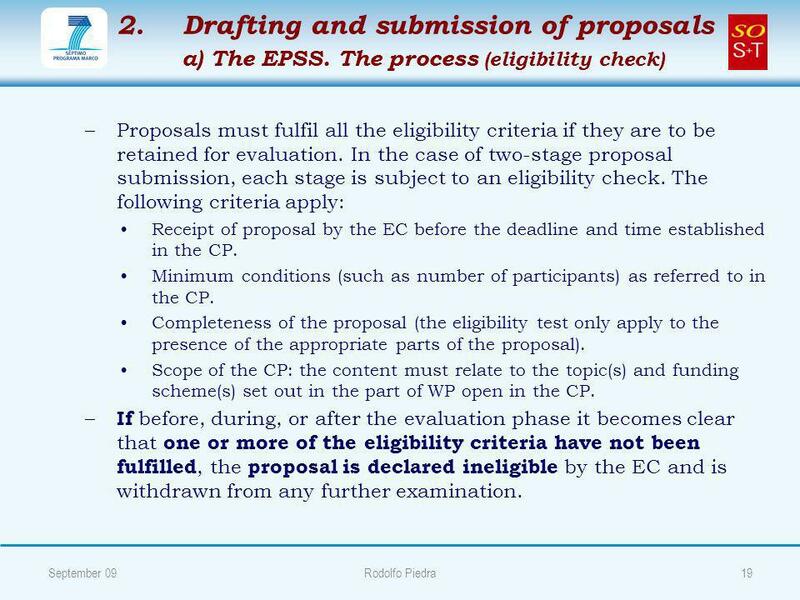 1 CORDIS and FP7 5 steps to succeed 2 Do you need to know: When and what FP7 funding is available? 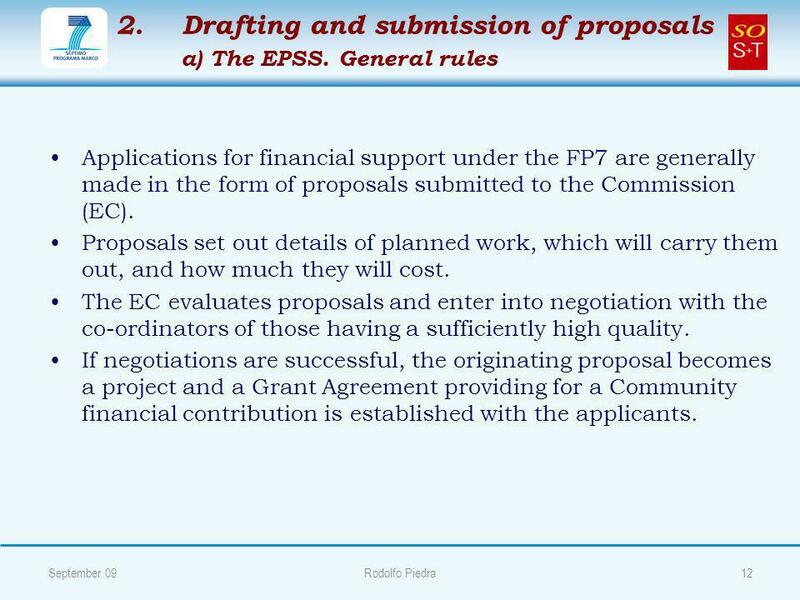 Which are the first FP7 integrated projects (and who. 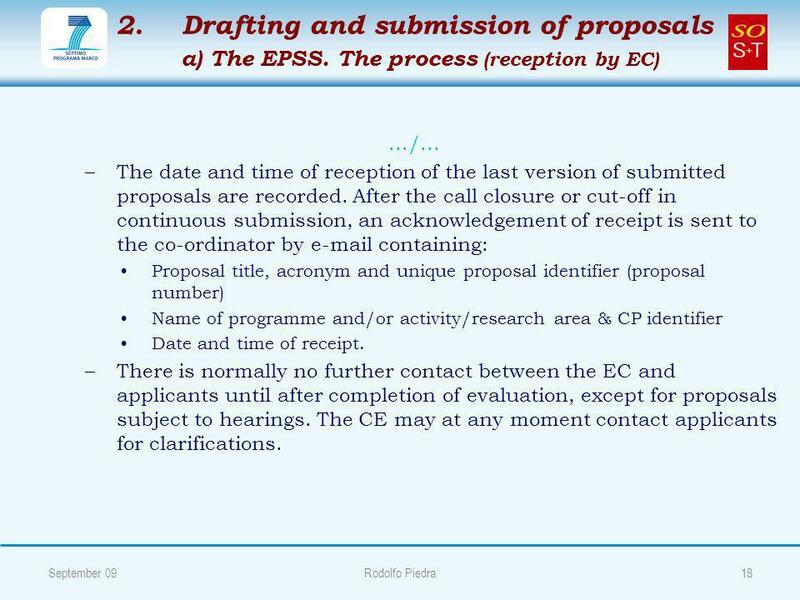 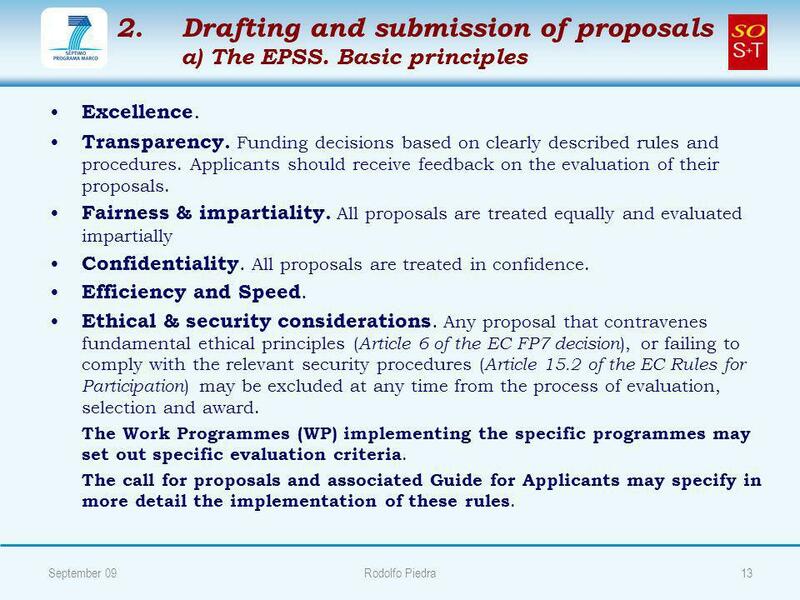 ERF and EIF Information Meeting Key Messages in Preparing an Application 5 th September 2013 F2 Rialto Dublin. 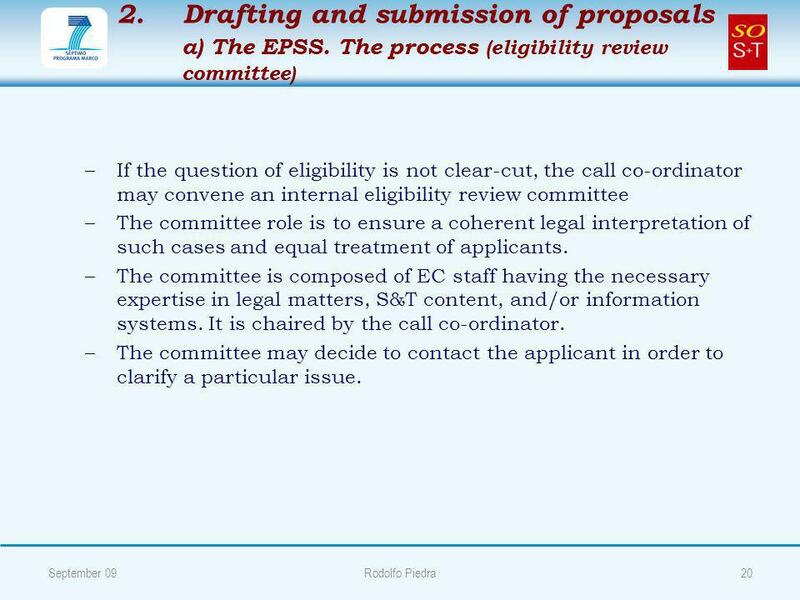 DR MACIEJ JUNKIERT PRACOWNIA BADAŃ NAD TRADYCJĄ EUROPEJSKĄ Guide for Applicants. 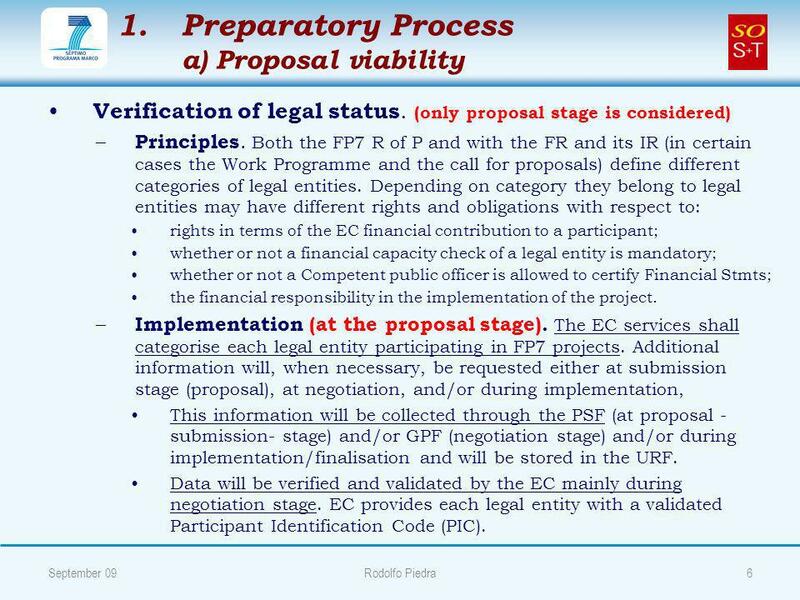 Public Procurement in Albania in the framework of recent reforms PUBLIC PROCUREMENT AGENCY 1. 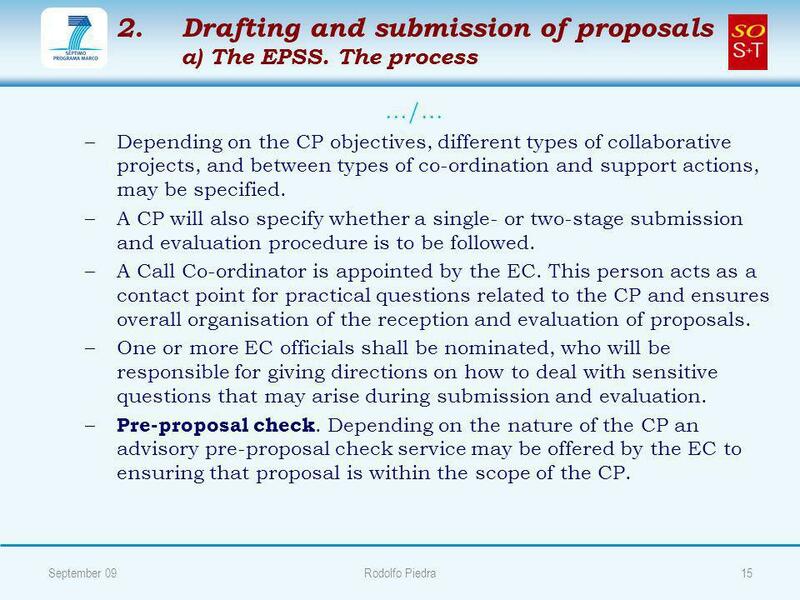 LIFE+ Project evaluation and selection Markéta Konečná 9 April 2013.